Having created what became the most awarded cannabis in the world in the form of Sensi Seeds Jack Herer, we decided to continue to work with this superb line of genetics to see what other delicious delights it had to offer. Taking a distinctly high direction for the new strain, the breeders took the most sativa of the four phenotypes that are produced and blended it with Super Skunk and Haze. The result was then repeatedly and carefully back crossed to create Sensi Seeds Jack Flash. This new descendant was revolutionary in proving that the average grower could cultivate an exotic, uplifting, mouth-wateringly tasty strain without it being too time consuming, challenging, or low yielding to be worthwhile. Jack Flash #5 Feminized provides the delicious rewards of Jack Herer with an ease of growing that is more usually associated with the Skunk family. The years of patient selection and refinement of the most desirable characteristics for a sativa-dominant variety intended to be grown inside have paid off many-fold with the release of cannabis seeds for Jack Flash. Further work has been done in recent years to fuse regular Jack Flash with a secret and particularly fruity ‘father’, creating cannabis seeds for a stable, predictable version of this spectacular modern classic that will all grow as females, including flowering. None of the distinctive, uplifting high of original Sensi Seeds Jack Herer has been sacrificed during the process of fusing it with the robust nature and big yields of the Skunk-Afghani relative, thanks to the inclusion of Haze and the expertise of our researchers. Sensi Seeds Jack Flash #5 presents in two phenotypes rather than the four that cannabis seeds of original Jack are famous for, and both seem to occur with equal frequency. One likes to grow tall, demonstrating swift growth during both vegetation and flowering. The main stem and up-reaching, slender lateral branches quickly become covered in dense bud that can fill in most of the spaces between them, growing in a classic spiral pattern. With this phenotype, the best results are achieved by growing the cannabis seeds in a medium to spacious grow room with enough ceiling height to allow the plants to finish at a minimum of 100 cm tall. In contrast, the indica version remains compact and stocky, making it a good candidate for Sea Of Green cultivation. During flowering the blooms mature as swiftly as those of the Haze-y hybrid, yet they have a distinctly different structure. The calyxes are so large and fat they can appear overdeveloped. On the colas that tip the branch ends, and especially the main stem cola, the buds form fat crowns of multiple points that sparkle with trichomes. In terms of flavour, Jack Flash builds on the classic earthy, skunky spice of Jack Herer with fruity notes of apricot and orange. During the flowering period, the plants emit a lemony fragrance that, though noticeable, is not overwhelmingly strong. Once the bud is cured, however, the taste and aroma increase considerably. When consumed, fresh top notes of mint and pine can often be detected. This variety has also been compared to Earl Grey tea, with pleasant mandarin orange and bergamot flavours. The effects of Sensi Seeds Jack Flash #5 Feminized combine feelings of happy relaxation with an energizing buzz that can stimulate creativity and inspiration. The high is experienced as an uplifting rush that can be quite strong for less experienced users, but is tempered by the indica elements of this fantastic Sensi Seeds variety. All the effects come on swiftly, which means that a pack of these cannabis seeds can be an excellent choice for medicinal users, since it offers very rapid relief from tension. Feelings of anxiety, depression and stress can be effectively treated using it. The high can be described as buoyant, even bouncy, and as cerebral as its famous parent. 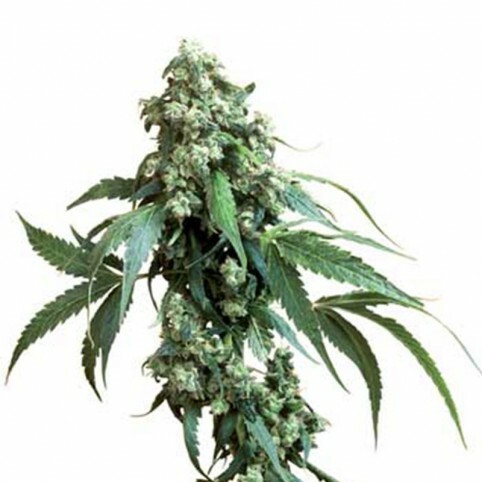 Sensi Seeds Jack Flash generally makes users feel more sociable and talkative, rather than withdrawing into the almost psychedelic effect that can occur with some types of cannabis. The original Sensi Seeds Jack Flash won a prize at the 2007 Highlife Festival in the Seed Company Hydro category, and also at the 2004 Cannabis Cup, where it took third place in the overall best cannabis category. These are cannabis seeds for a very special variety indeed, and growers with some previous experience will definitely be able to bring out the best in it. These feminized seeds follow this pattern, and despite being robust, are not often recommended as a pack of cannabis seeds for a debut grow. For gardeners ready to branch out into the realms of sativa-dominant strains with indica-like growth characteristics and an alert, attentive high, a pack of Jack Flash #5 Feminized is an excellent choice. With the Northern Lights Automatic, the legendary Afghani Indica is now available as a feminized aut..